Margill Loan Manager – Can we email an amortization report to each borrower when interest rates change? First, I guess you updated the interest rates though the Main window with Ctrl Alt Shift i. 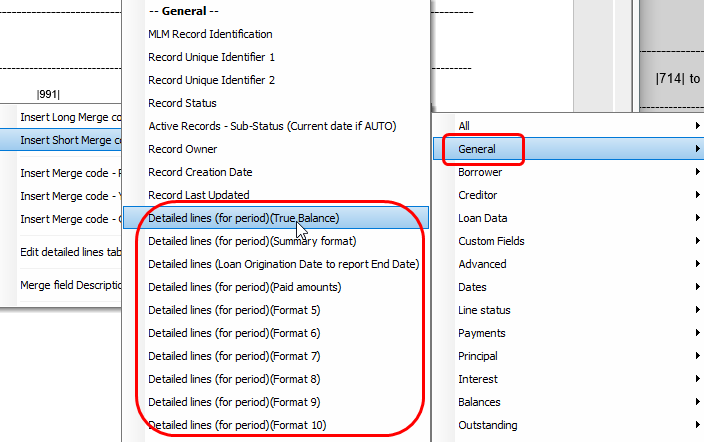 Ideally you have a custom field that identifies the loans that are tied to the specific index (Prime, LIBOR, etc.). With this field you can easily select the proper loans to 1) change the interest rates quickly and 2) send the amortization schedule by email. To create the statement to send out, go to Reports > Mail/Email Template > New and create a DocX that offers many more options than the older RTF. 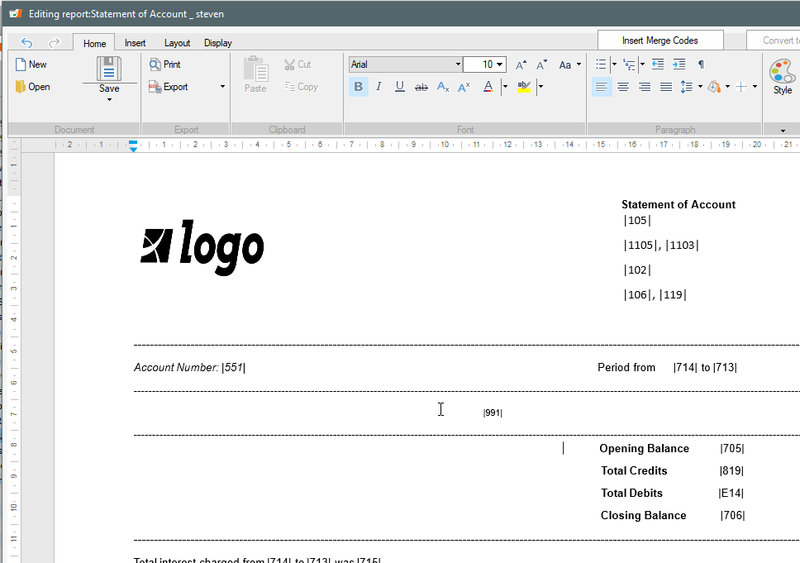 You can then structure the template and enter your logo and add the Merge codes to identify the Borrower, etc. You could also create your statement in Word and copy it here afterwards. The merge codes to enter the amortization schedule per se are under the General theme. You can try each to see which is best for you. There are 10 templates and we can program others to meet you exact needs (columns included, titles, etc.). Now that your template is created, test to see if all is good (numbers, names, etc.). Go to Reports > Document Merge. 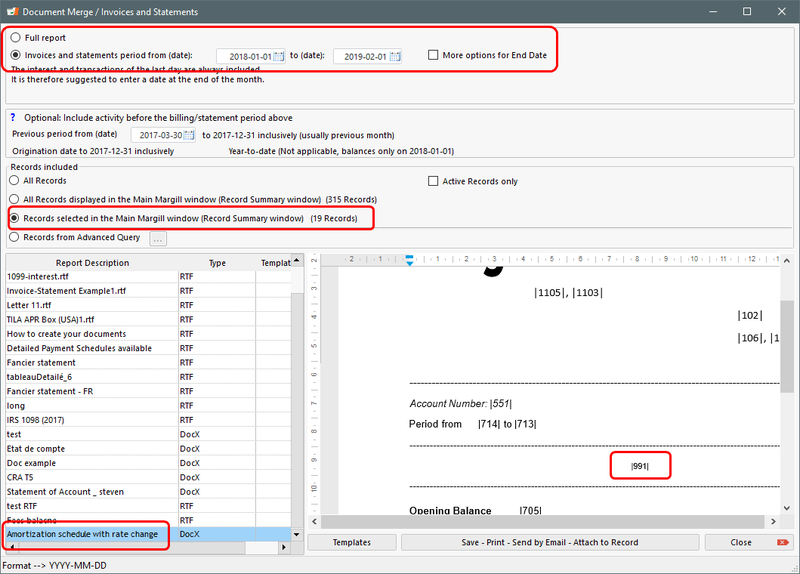 You will need to select a date range or show the entire schedule (past, present and future payments). I would opt for a date range to see up to the rate change, not the future. 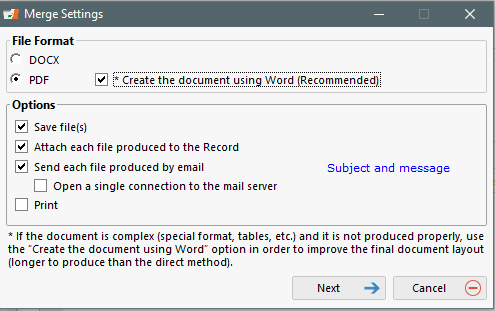 Then press on “Save – Print -Send by Email”. You can also add an email Subject and Message when sending the email. Email sending must be configured in Tools > Settings > Email Connection. Your IT person will usually set this up properly for each Margill user. The selected Records will all be sent out by email in a batch. Each takes about 10 seconds to create and send out. https://www.margill.com/wp-content/uploads/2017/02/jur-logo-margill-avec-spacer-top_EN-300x73.png 0 0 Marc Gelinas https://www.margill.com/wp-content/uploads/2017/02/jur-logo-margill-avec-spacer-top_EN-300x73.png Marc Gelinas2019-01-22 17:50:342019-01-22 17:53:14Can we email an amortization report to each borrower when interest rates change?